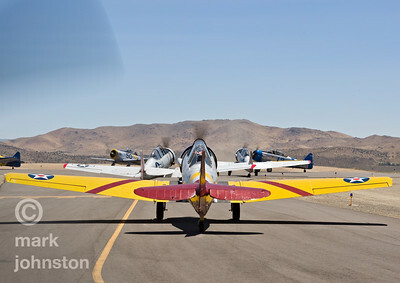 All of the T-6 variants are powered by the Pratt & Whitney Wasp R-1340-AN-1 air-cooled radial engine, which develops about 600 horsepower, and they all have essentially the same airframe. Originally built by North American Aviation, the 15,495 aircraft that were manufactured over the life of the model served primarily as advanced trainers, helping pilots bridge between basic trainers and front-line tactical aircraft such as the P-51 Mustang. 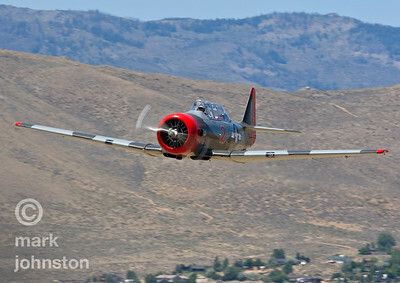 The fastest T-6 aircraft generally post race speeds into the 220-230 mph range on the 5.06-mile course at Reno. Since there are restrictions on modifications to the airframe and power plant, all of the aircraft are raced in near-stock condition, and the focus is on race strategy and pilot skill rather than airframe or engine technology. This makes for some exciting and close racing. 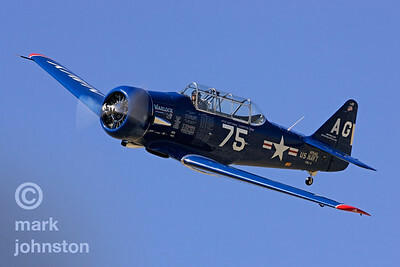 Al Goss' "Warlock", a long-time contender in the T-6 class and the overall class champ in 2004, is an SNJ-6 model, a beautiful example of the Naval variant of the North American T-6 trainer. 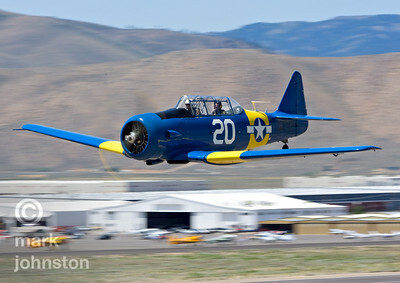 "Mirage", Jim Thomas' SNJ-4, is part of an exciting class at Reno that features match racing between stock AT-6, SNJ [US Navy], and Harvard [Canadian] versions of the North American WWII-era trainer. 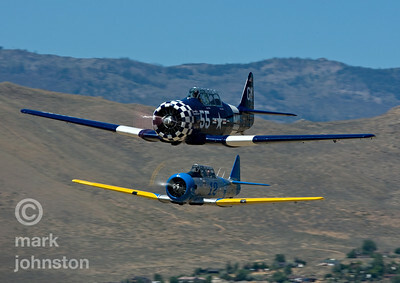 Mike Gillian's AT-6D, "Big Easy", is part of an exciting class at Reno that features match racing between stock AT-6, SNJ [US Navy], and Harvard [Canadian] versions of the North American WWII-era trainer. T-6 Class racers descend onto the race course during a practice race at the 2007 Pylon Racing Seminar, a chance for pilots to train and practice prior to participation in the September National Championship Air Races. 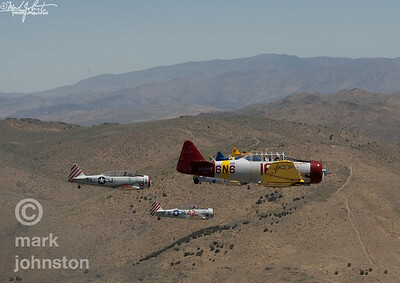 T-6 Class aircraft approach the Home Pylon during a practice race. 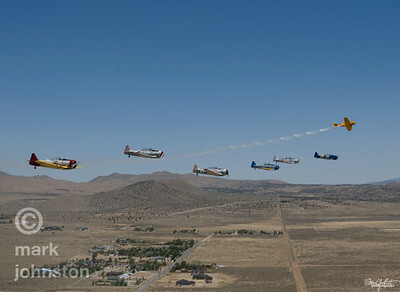 The National Championship Air Races and Air Show feature several classes of up to laps aircraft racing together for up to eight laps around a closed course demarcated by specially marked poles [pylons] at speeds exceeding 500 mph. The Reno Air Racing Association sponsors the Pylon Racing Seminar as a unique and productive opportunity for race pilots to prepare, practice, and become certified to race in the National Championship Air Races. 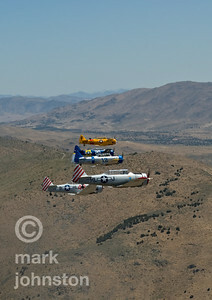 The Pylon Racing Seminar is held at Nevada's Reno Stead Field during the month of June. 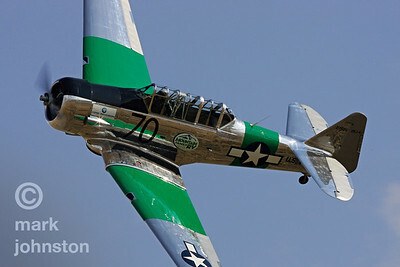 A T-6 Class aircraft approaches the "Home Pylon" during a practice race. 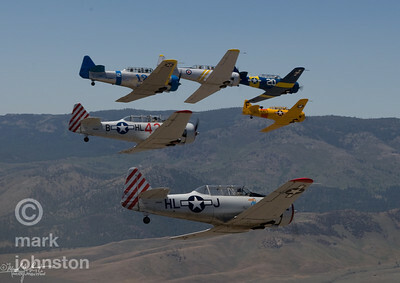 The National Championship Air Races and Air Show feature several classes of up to laps aircraft racing together for up to eight laps around a closed course demarcated by specially marked poles [pylons] at speeds exceeding 500 mph. 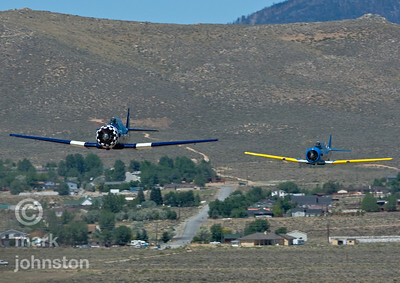 The Reno Air Racing Association sponsors the Pylon Racing Seminar as a unique and productive opportunity for race pilots to prepare, practice, and become certified to race in the National Championship Air Races. The Pylon Racing Seminar is held at Nevada's Reno Stead Field during the month of June. 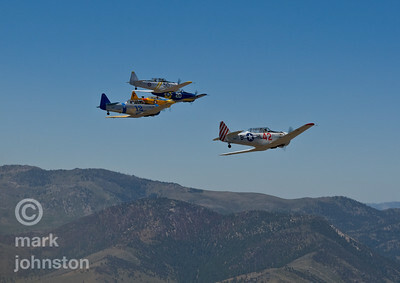 A T-6 Class aircraft passes the "Home Pylon" during a practice race. 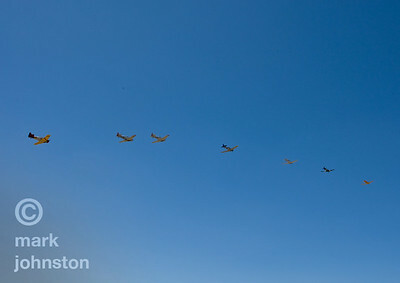 The National Championship Air Races and Air Show feature several classes of up to laps aircraft racing together for up to eight laps around a closed course demarcated by specially marked poles [pylons] at speeds exceeding 500 mph. 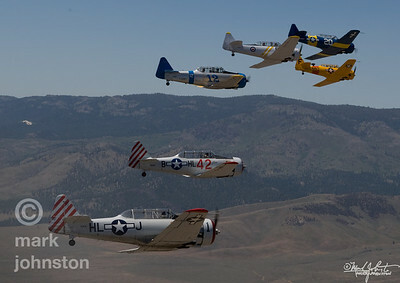 The Reno Air Racing Association sponsors the Pylon Racing Seminar as a unique and productive opportunity for race pilots to prepare, practice, and become certified to race in the National Championship Air Races. The Pylon Racing Seminar is held at Nevada's Reno Stead Field during the month of June. 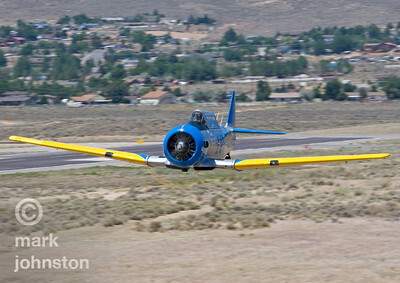 A T-6 Class racer approaches the "Home Pylon" during a practice flight. The National Championship Air Races and Air Show feature several classes of up to laps aircraft racing together for up to eight laps around a closed course demarcated by specially marked poles [pylons] at speeds exceeding 500 mph. The Reno Air Racing Association sponsors the Pylon Racing Seminar as a unique and productive opportunity for race pilots to prepare, practice, and become certified to race in the National Championship Air Races. The Pylon Racing Seminar is held at Nevada's Reno Stead Field during the month of June. The Reno Air Racing Association sponsors the Pylon Racing Seminar as a unique and productive opportunity for race pilots to prepare, practice, and become certified to race in the National Championship Air Races. The Pylon Racing Seminar is held at Nevada's Reno Stead Field during the month of June. 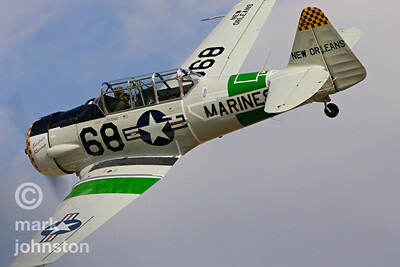 Here, T-6 aircraft taxi out for a practice race. 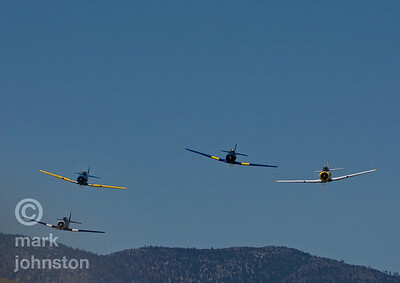 T-6 Class racers form up before heading onto the race course during the National Championship Air Races & Air Show, held each September in Reno, Nevada, USA. 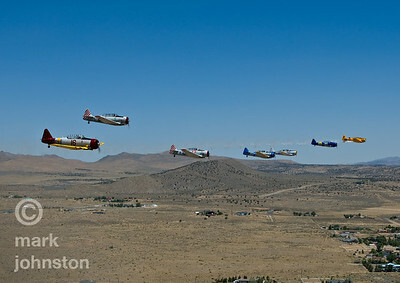 TT-6 Class racers form up before heading onto the race course during the National Championship Air Races & Air Show, held each September in Reno, Nevada, USA. 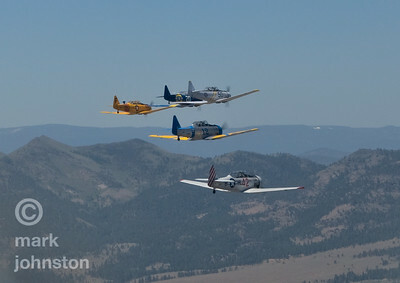 T-6 Class racers form up in flight prior to the start of a practice race. The National Championship Air Races and Air Show feature several classes of up to laps aircraft racing together for up to eight laps around a closed course demarcated by specially marked poles [pylons] at speeds exceeding 500 mph. The Reno Air Racing Association sponsors the Pylon Racing Seminar as a unique and productive opportunity for race pilots to prepare, practice, and become certified to race in the National Championship Air Races. The Pylon Racing Seminar is held at Nevada's Reno Stead Field during the month of June. 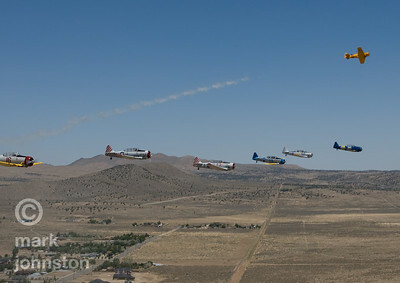 The National Championship Air Races and Air Show feature several classes of up to laps aircraft racing togT-6 Class racers form up before heading onto the race course during the National Championship Air Races & Air Show, held each September in Reno, Nevada, USA. 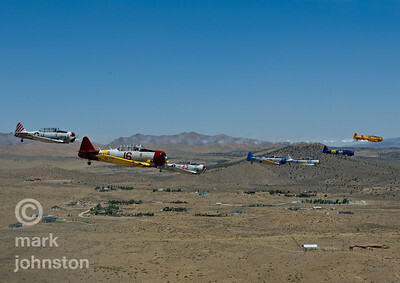 As the pace plane pulls up and away, a flight of T-6 Class aircraft descends onto the race course during the National Championship Air Races & Air Show, held each year near Reno, Nevada, USA.